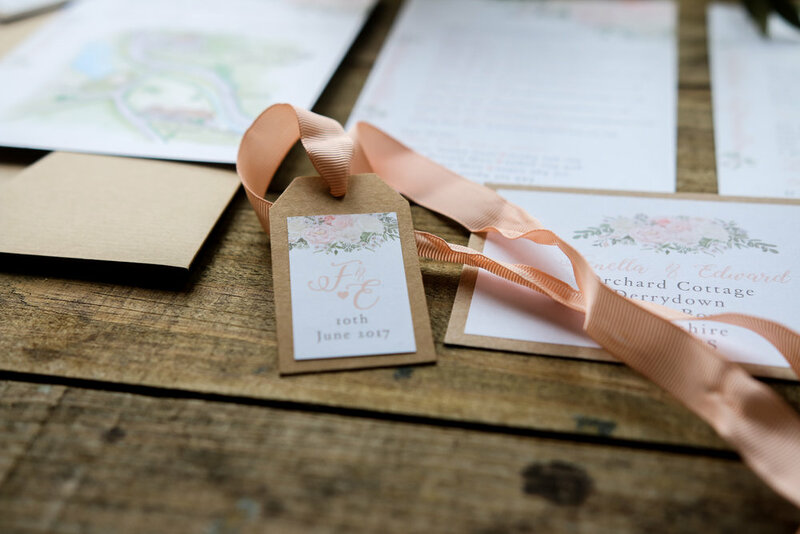 This is one of my favourite designs which was put together in a bit of a hurry for their early summer June wedding. 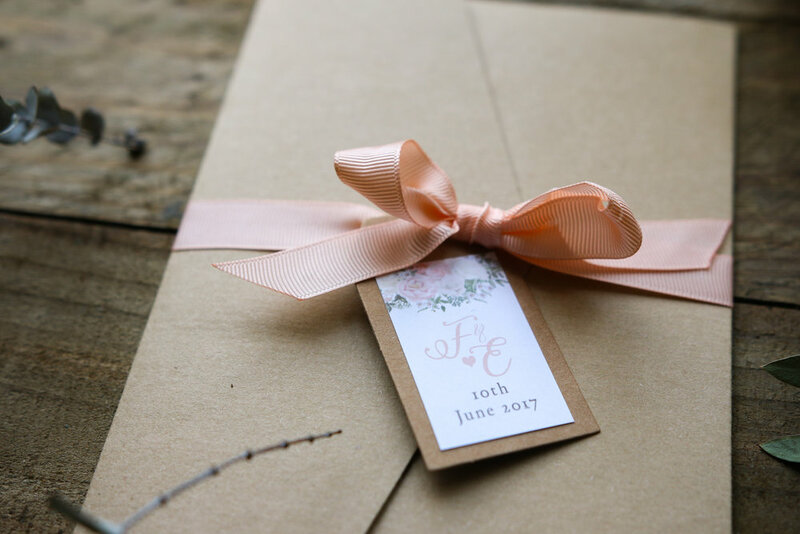 Fenella and Edward chose a beautiful Pocket-fold invitation in Ribbed kraft, held together with peach grosgrain ribbon and kraft tag. 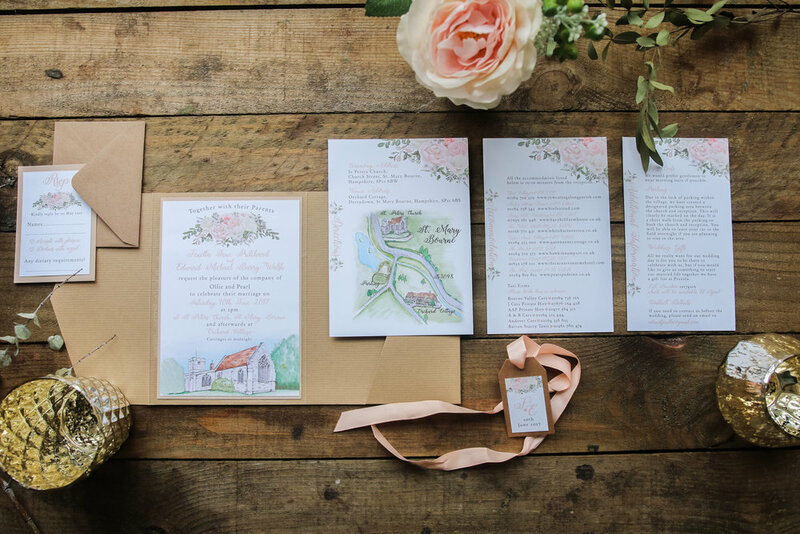 Each Invitation has 3 separate additional information inserts and a little RSVP (backed on peach card) with matching envelope. The couple got married in their local church and celebrated their reception in Fenella's parents garden. 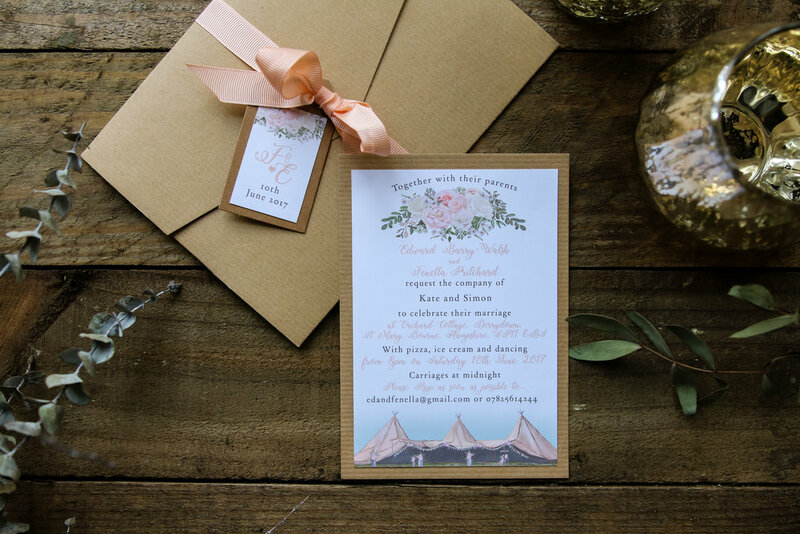 I love the soft peachy tones throughout this set and bespoke floral illustration to bring in accents from Fenella's bouquet. Our local artist (Charlotte) commissioned a beautiful watercolour illustration of St. Peters church in St. Mary Bourne, and a bespoke map to help guide guests to the party, which I think ties this all together just perfectly! s well as helping with their Order of Service (pics to come soon! ).